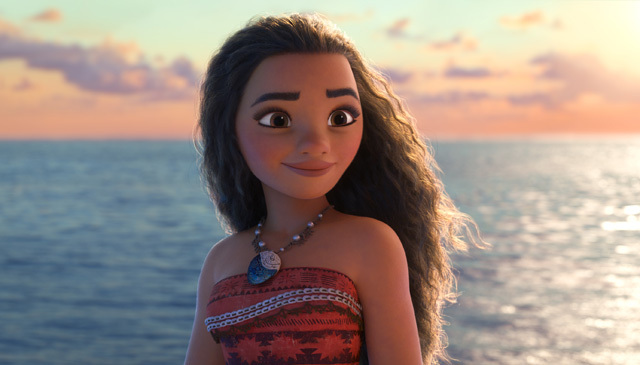 Walt Disney Animation Studios‘ Moana topped the domestic box office a second-straight weekend with $28.4 million to bring its North American total to $119.8 million. Internationally, the animated hit added $32 million and has earned $57.5 million so far. Worldwide, Moana has brought in $117.4 million. Moana was directed by John Musker and Ron Clements. 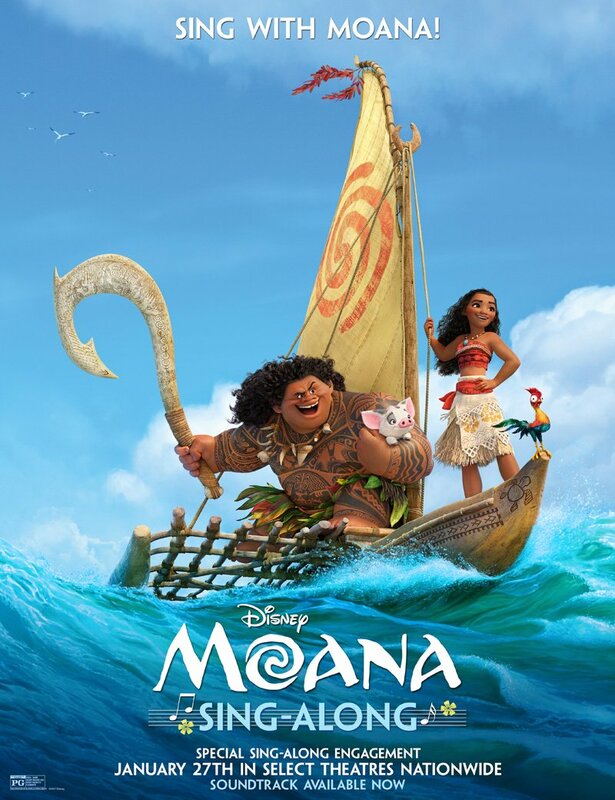 The film features the voices of Auli’i Cravalho, Dwayne Johnson, Jemaine Clement, Rachel House, Temuera Morrison, Nicole Scherzinger, and Alan Tudyk. Remaining in second place domestically was Warner Bros. Pictures‘ Fantastic Beast and Where To Find Them, which added $18.5 million its third weekend for a total of $183.5 million. Internationally, the film was No. 1 for the third weekend in a row. It added an impressive $60.4 million this weekend from 23,000 screens in 67 markets, bringing the overseas total to $424.4 million and worldwide sum to $607.9 million. Directed by David Yates from a script by J.K. Rowling, Fantastic Beasts cost $180 million to make and stars Eddie Redmayne, Katherine Waterston, Dan Fogler, Alison Sudol, Ezra Miller, Samantha Morton, Jon Voight, Ron Perlman, Carmen Ejogo, Jenn Murray, Faith Wood-Blagrove, Colin Farrell, and Zoe Kravitz. Paramount’s sci-fi drama Arrival earned $7.3 million in third place for a total of $73 million after four weeks. The Denis Villeneuve-directed film, starring Amy Adams and Jeremy Renner, cost about $47 million to make. In fourth, Robert Zemeckis’ Allied brought in $7 million its second weekend for a total of $28.9 million. Starring Brad Pitt and Marion Cotillard, Allied was produced for $85 million. Marvel Studios‘ Doctor Strange rounded out the top five with $6.5 million and has collected $215.3 million domestically after five weeks. In North America, Doctor Strange has already passed the lifetime totals of The Incredible Hulk ($135M), Captain America: The First Avenger ($177M), Ant-Man ($180M), Thor ($181M) and Thor: The Dark World ($206M). With an international total to date of $419.2 million, Doctor Strange has passed The Incredible Hulk ($129M), Captain America: The First Avenger ($194M), Iron Man ($266M), Thor ($268M), Iron Man 2 ($310M) and Ant-Man ($339M). And with a global total to date of $634.9 million, Doctor Strange has passed The Incredible Hulk ($263M), Captain America: The First Avenger ($371M), Thor ($449M), Ant-Man ($520M), Iron Man ($585M), and Iron Man 2 ($624M). Made for $165 million and directed by Scott Derrickson, Doctor Strange stars Benedict Cumberbatch, Chiwetel Ejiofor, Rachel McAdams, Michael Stuhlbarg, Mads Mikkelsen, Tilda Swinton, Scott Adkins, Amy Landecker and Benedict Wong. In limited release, Fox Searchlight Pictures’ Jackie impressed with $275,000 from just five theaters, an average of $55,000 per location. Directed by Pablo Larrain, the film stars Natalie Portman, Greta Gerwig, Billy Crudup, John Hurt and Peter Sarsgaard.